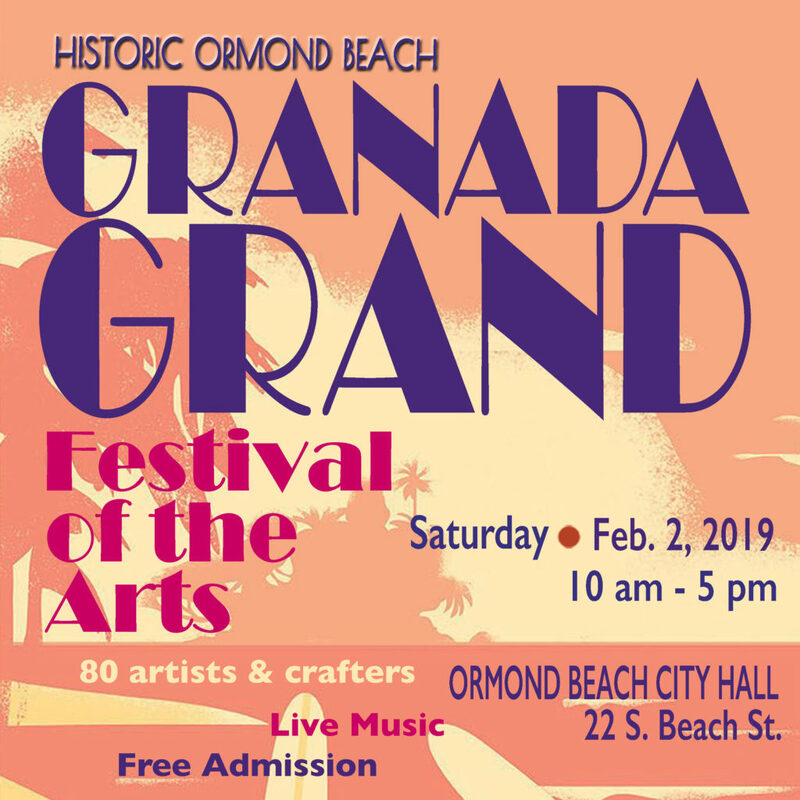 The 5th Annual Granada Grand Festival of the Arts heads back to Downtown Ormond Beach where more than 80 artists and crafters will display their work. 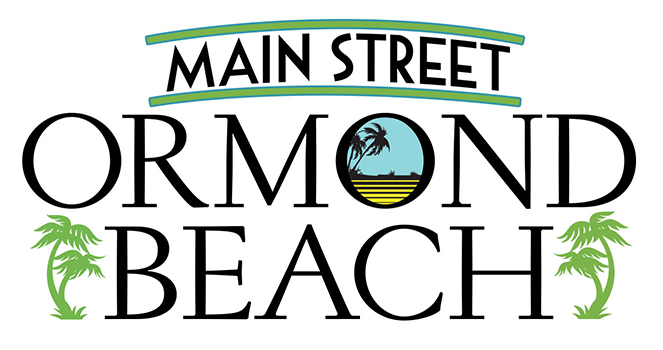 Ormond Beach MainStreet and the Ormond Beach Arts District host this free arts festival Saturday, February 2, 2019 from 10 AM – 5 PM behind the Ormond Beach City Hall/Ormond Beach Public Library complex on South Beach Street. The Granada Grand Festival of the Arts offers a generous helping of all things art, from visual artists and art demonstrations to musical performances and hands-on activities for the whole family. More than 5,000 visitors joined us last year. As you wander around the festival, you’ll surely get lost in a flurry of sights, sounds and smells. Interact with select artists as they conduct live demonstrations of their technique, then snag something unique from one of more than 80 exhibitors selling their handcrafted pieces, the majority of whom reside right here in Volusia County. This year we’ll be featuring a German beer garden with Hofbrau Munchen draft beer and soft pretzels all served out of a Bauhaus-style trailer called “Wiesn in a Box”. Meant to recreate a little of the Munich Oktoberfest experience, the beer garden is touring the US with help from German government, the Federation of German Industries (BDI), and the Goethe-Institut with the goal of enhancing the cultural dialogue between Germany and the United States. Of course we’ve got wine, soft drinks and lemonade too. Taking in all this art got you hungry? Grab a mouth-watering bite from a string of local food trucks including Stoked Poké, Ramon Alvarez Caribbean Kitchen, Sweets-n-Eats, and Josie’s Latin Fusion. We’ve got gourmet sandwiches, hand-cut fries, ethnic eats, yummy desserts, and vegetarian options, too! You can catch all the music on the main stage right from your table. This year we go all jazz with the Ray Guiser Quartet and the Thomas J. Jones Trio as our headliners. Even the smallest art-lover will stay entertained in our kid’s zone, with fun art projects, games, face painting and a bouncy house. Festival goers will have a chance to “be part of the art” with this year’s interactive community project for all ages sponsored by Frame of Mind. We will be creating a 12-foot long, freestanding mural. Local artist group, Art in the Alley, will design the outline that participants of any skill level will be able to finish with their very own brushstrokes. More than 200 people participated in our community project last year and we expect even more to help with this fun, colorful piece. Visit the Young Artists tent where local students ages 6 – 18 will be displaying their work for sale alongside local art teacher, Pat Spano. It’s a chance for these select young artists to be an active part of the local art scene, and to find out more about the life of a working artist. Here you’ll also find a mini art studio where Pat and the young artists will help children create a masterpiece of their own. Pick your medium! For those who want to learn more about how to DIY, artists will be offering live demonstrations all around the Festival. Woodworking, pottery, broom making, spray art, calligraphy, sand art, and classic painting skills will all be on display. You may download an updated schedule of Festival events and a parking map here or on Facebook .